The Battle of Les Avins or Battle of Avein was fought on May 20, 1635 during the Thirty Years' War between a French and a Spanish army. The battle was fought in the Belgian village of Les Avins, south of Huy, in what was then the bishopric of Liège. It was the first serious engagement for the French, which had entered the war only three months before. The French army was under command of Marshals of France Urbain de Maillé-Brézé and Gaspard III de Coligny, Maréchal de Châtillon. 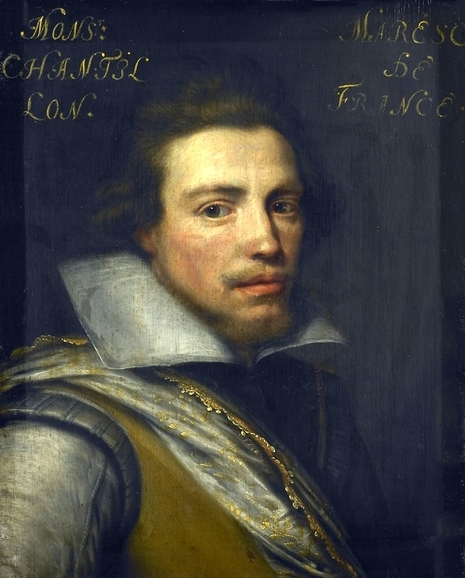 The Spanish were commanded by Thomas Francis, Prince of Carignan. The Spanish army was inferior in numbers, surrounded and completely defeated in just a few hours. Some 5,000 Spanish were killed or wounded, 1,500 captured and the rest scattered.The French army joined up with the Dutch coming from the north, but their disagreements gave the Spanish the time to reorganize themselfs. They harassed the French with quick cavalry raids. The French army also suffered from lack of supplies and money, what caused widespread desertions. After the Peace of Prague (1635), Imperial troops were free to reinforce the Spanish and in 1636 together they drove the French back, towards the gates of Paris. The open war with Spain started disastrously for the French. After an initial French attack and victory in the Battle of Les Avins in 1635, Spanish and Imperial forces, operating from the Spanish Netherlands launched in 1636 lightening campaigns through northern France and looked likely to invade Paris when the vast fiscal commitments of the Thirty Years War forced them to suspend their attacks. This gave the French a chance to regroup and force Spanish forces back towards the northern border. The French also sent forces through Lorraine into the Alsace to cut the Spanish Road, the vital supply line connecting the Spanish Netherlands to Spain through the Mediterranean port of Genoa. In 1640 internal pressures caused by the burden of the Thirty Years War led to the simultaneous revolts of Portugal and Catalonia against the Spanish Habsburgs. Spain was now fighting two major wars of succession in addition to a great international conflict; the complete collapse of the Spanish empire was thought imminent. The French invaded Catalonia, ostensibly to help the rebels. In 1643, the French defeated the Spanish at the Battle of Rocroi in northern France; the myth of the Spanish Tercio's invincibility was at an end. During the last decade of the Thirty Years' War, the Spanish forces in the Southern Netherlands were sandwiched between French and Dutch forces. When the peace treaty was negotiated, France insisted upon Spain being excluded, but the demand was rejected. In the Peace of Westphalia, France gained territory in the Alsace, thus interrupting the Spanish Road; at the signing of the treaty, Spain recognized the independence of the Dutch republic but gave up very little else; indeed the Spanish had to be paid to leave positions they had seized on the Rhine. In Italy, France fought with the more or less reluctant support of its client state Piedmont against the Spanish in the Duchy of Milan. 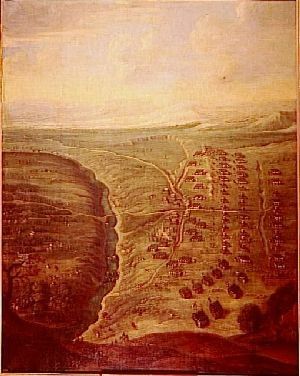 Confusion was added from 1639–1642 by the Piedmontese Civil War. 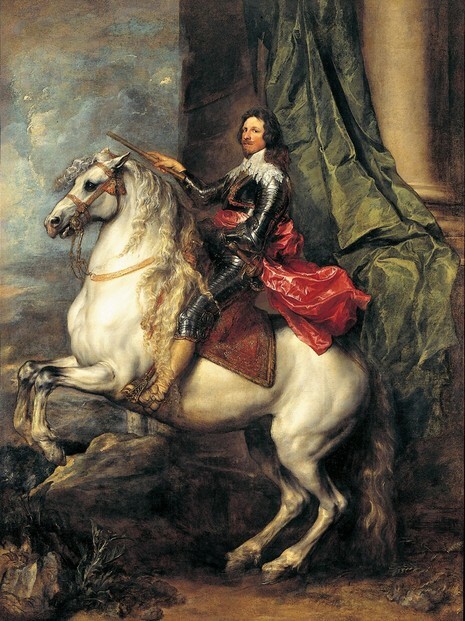 The siege of Turin in 1640 was a famous event in both this war and the Franco-Spanish conflict. France also tried to take the Tuscan Presidios in 1646, and involved itself in the Naples revolt of 1647–1648.